Now the State Lobbying Compliance Handbook is available via online subscription! Through this 12-month subscription, you will be able to easily access compliance information through specific searches and quick reference links. Additionally, users will be able to create and customize research folders to add specific handbook sections for organized orientation. State lobbying can provide you with opportunities that may not exist in today’s polarized Congress. The problem is knowing what you can and can't do. With state rules on gifts and disclosure varying from state to state this can be an extremely complicated endeavor. So, what’s the secret to leveraging state lobbying without missing a requirement, mistaking a definition, filing an outdated disclosure form or violating rules? Get 1,000+ online pages of lobbying compliance guidance organized and tabbed by state including hundreds of filing forms, contacts for each state's filing authorities, regular legislative session schedules for all 50 states and more in this comprehensive handbook. The State Lobbying Compliance Handbook is action-oriented, designed to help you move into states quickly, effectively and without worrying that you’re violating lobbying regulations or using outdated registration or disclosure forms. Don't wait, subscribe today to launch your next state lobbying campaign. Simplify compliance with up-to-date state lobbying answers that are ready the moment you need them all year long. • Written by the experts, developed for practitioners -The handbook is written by expert attorneys at Holtzman Vogel Josefiak Torchinsky PLLC, the authorities on federal and state gift rules and lobbying registration and disclosure laws. It’s also written in layman's terms so that you can immediately understand what’s required for compliance. • Organized for how you work - No need to plow through state websites and law libraries! 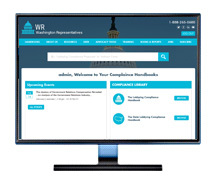 The Handbook features tabs for each state with at-a-glance charts of what lobbying activities must be reported, current contact information for filing authorities, and specific compliance requirements streamlined and organized by actual lobbying tasks. It’s fully indexed and if you want further material or the full statute, cross-references make it easy. • Every form you need is ready to use - Each state’s tab contains every lobbying form you need for state lobbying. These forms are up-to-date and available for immediate use. • Updated throughout the year so you’re always working with accurate information - At no extra cost, you’ll receive email updates bringing you up-to-date with revised contact information, forms, and important state-level changes that may affect lobbying and campaign finance laws. • What triggers require a lobbyist to register? • What activities are classified as lobbying, and what exceptions apply? • Which forms must lobbyists (and sometimes their clients) file? • What deadlines apply to registrations and renewals? • What backup information must be maintained? • How much detail is required on disclosure forms? • What other laws apply to lobbyists (e.g., loans and gifts to state legislators)? • What gifts can lobbyists give to state legislators? • When must the costs of grassroots lobbying be reported? Discover the simple yet complete guide to each state’s lobbying requirements -- organized around today’s real-world lobbying tasks. SPECIAL PACKAGE: Combine the power of the State Lobbying Compliance Handbook covering state level lobbying laws for all 50 states with the top guide for federal lobbying, The Lobbying Compliance Handbook now in its 5th edition. 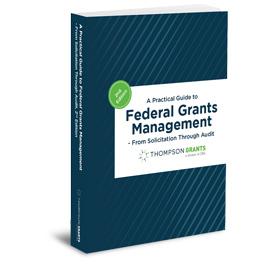 Click here to learn more about the Federal Lobbying Compliance Handbook.